I’m young enough that I have always had TV and things like VHS tapes in my life, since the time I was a baby. I remember getting the internet for the first time (thanks, AOL), buying my first cassette tape, CD, and MP3 player. I remember trying to find some of my favorite movies from VHS on DVD, but still keeping some VHS tapes because they had shows that were taped before the creation of On-Demand or Netflix. I went from playing my grandfather’s Intellivision, to getting a Nintendo and Super Nintendo for Christmas, to buying my own “next gen” consoles as an adult. Technology has changed dramatically in the last few decades, and I have always changed with the times, updating with the natural progression. But, there’s one thing that has stayed constant and hasn’t changed since my birth. I watched this show called “Remember WENN” with my mom constantly when I was little, and have had a passion for radio ever since. It’s about a radio station called WENN back in the 1930s/40s. No matter what happened with the characters in the studio or in their personal lives, the show had to go on. Even though it was fictional, it piqued my interest on the inner workings of radio broadcasting. 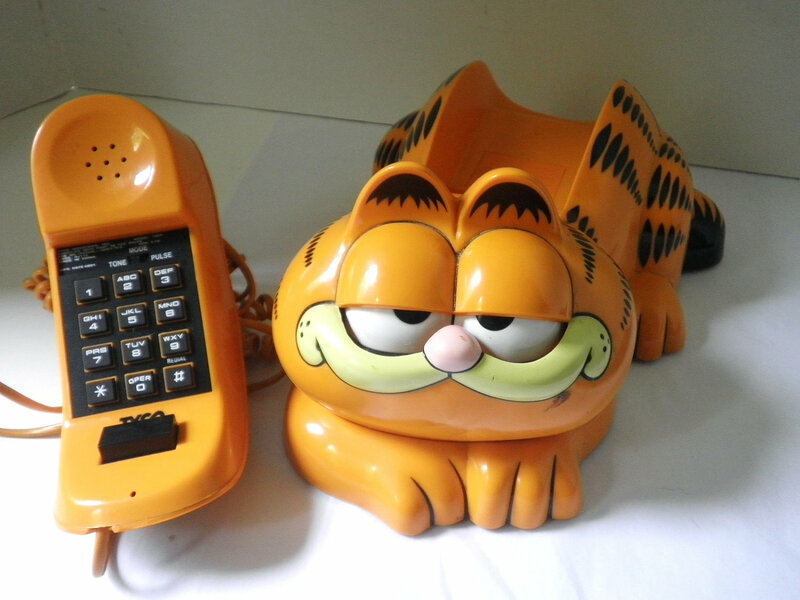 I begged for a phone in my own room for my 10th birthday. It was a Garfield phone that had him sleeping until you lifted the handset, when he’d finally open his eyes. I used that phone almost exclusively to call into radio stations and participate in the shows. Whether it was a contest, a question posed to the listeners, or to request a song, I was all over it. I actually did “win” a couple of contests, but because I was under 18, I wasn’t allowed to have the prize. I still have a collection of autographs that stations had sent me instead, including Rick Dees, Ryan Seacrest, Dr. Demento, and Danny Bonaduce. As I’ve grown, so too has my taste in radio broadcasts. From music stations to talk stations, I’ve listened to all of them that I can. Good or bad, I’ve usually got the latest round of radio commercials memorized, but it’s the SHOWS that really get me. They’re live. They’re raw. They’re real. You can call in and agree or disagree with what’s being discussed. You can ask questions of guests you may never otherwise have a platform to speak with. There’s even a chance that if you’re caller number 9, you’ll win those tickets to that show at that place you like. If you’re listening to music, you can drive in your car and get excited that they’re playing your favorite song. It’s somewhat of a thrill to know that hundreds or thousands of people are listening to it at the exact same time. At that moment, though, it’s being played just for you. Now that I’m involved in radio, it’s even more attractive to me. Every time I step up to the mic, it’s a whole new conversation. Sure, the same topics may come up now and again, but it’s always a different experience, because you’re talking to different people with different ideas and emotions. It’s exciting to converse with so many types of personalities that otherwise I may never interact with. And really, isn’t that what it’s all about? Radio is a way for people to connect to one another. To discuss, debate, agree and disagree. To gain and share knowledge. To groove to the same beat. You don’t get that same emotion with a CD or an MP3. Yeah, you get to control exactly what you’d like to hear, but it’s the loss of interaction there that makes recorded formats different than radio. There’s a reason that broadcast radio has survived so long. Sure, there are other incarnations of it, from Satellite Radio to Podcasting. But they all have that same link … people. Real living people who have something to say.